The Black Bears took a summer trip to Costa Rica to not only learn Barron's philosophy but bond as a team. 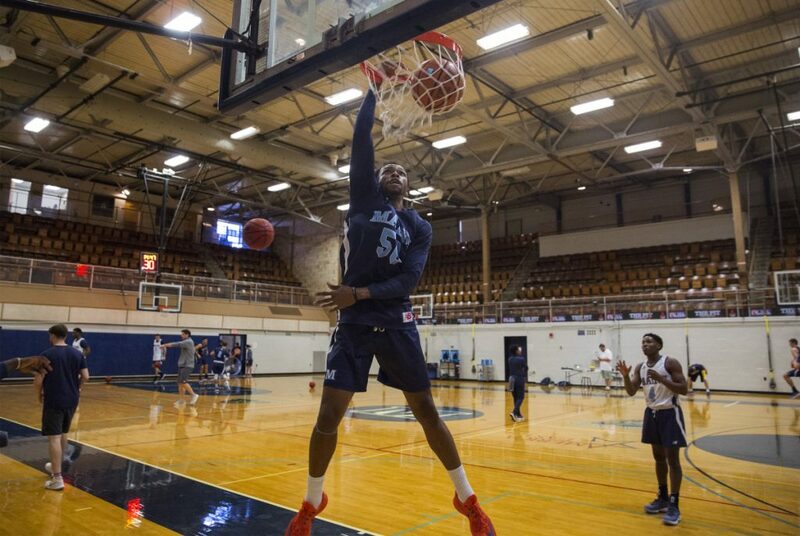 ORONO — Richard Barron has referred to his first year coaching the University of Maine men’s basketball team as a journey that’s going to take some time. Well, the Black Bears are certainly putting in the miles to start it. Maine opens its season Tuesday night in Denver, some 2,000 miles away from its campus, and then heads to Utah and San Francisco to complete the three-game swing. But that pales in comparison to where the journey actually began. The Black Bears took a trip to Costa Rica – some 4,500 miles from Orono – in August, not only getting their first taste of Barron’s coaching philosophy, but more importantly learning about each other. Maine, which went 6-26 last year and won only 24 games the past four years, has eight new players on its roster. So it’s important that the players not only know each other on the court but also off it. Maine played three games in Costa Rica – two against the University of Calgary, which won the Canadian collegiate title – but also visited a rain forest, went zip-lining and visited the Crocodile Bridge, home to some of the world’s largest crocodiles. The trip was paid for with the $90,000 received as a guarantee from Utah. Barron, of course, is returning to coaching after a medical condition that forced him to step away from the Maine women’s basketball program. He had coached the Black Bears women’s program for seven seasons, taking them from afterthoughts in America East to two regular-season championships. But early in the 2016-17 season he began suffering from extreme dizziness and disorientation. He was placed on medical leave on Jan. 6, 2017, with assistant Amy Vachon taking over. Barron was eventually diagnosed with a small fracture in his skull near his inner right ear. He underwent surgery that summer. He returned to the school as a temporary assistant to former athletic director Karlton Creech on Dec. 1, 2017, always hoping to return to coaching. That opportunity came on March 5, when he was named the men’s coach at Maine, replacing Bob Walsh. Now he’s in charge of rebuilding a men’s program that has never advanced to the NCAA tournament. He has stressed throughout the preseason that it’s going to take some time. He said he’s seen players progress, then regress, in practices, but is encouraged by their work ethic.